Suggesting Grand Theft Auto as a model for gamifying education sounds like suggesting Satanic rituals to increase church attendance. But the other day I found my five-year-old son playing Grand Theft Auto III on our iPad. 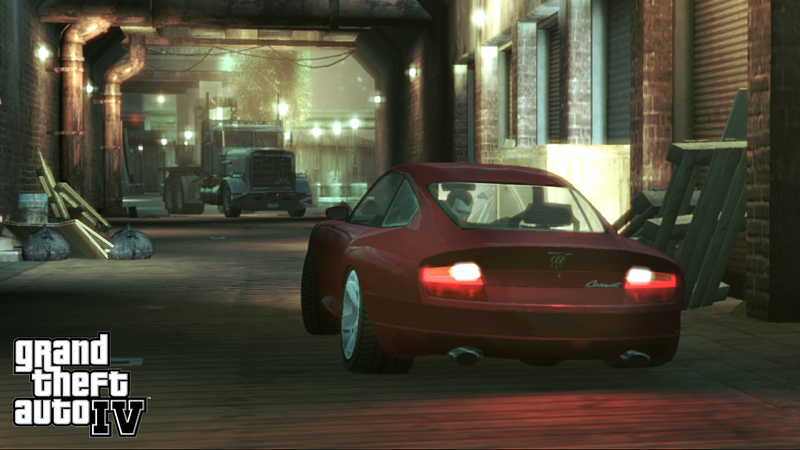 The Grand Theft Auto series, from Rockstar Games, is one of the most successful video game franchises in history, and probably the most controversial. What interested me, however, was that while he was driving a radio station was playing music, DJ banter and sarcastic ads. I realized if he drove around long enough he might learn some English. Maybe not the right kind of English. But what if the radio stations were teaching elementary vocabulary and grammar? There’s hope in the gamification community, and within the progressive educational community, that gamification might be the magic bullet to rescue our abyssmal K-12 schools here in the U.S. But the record so far of educational gamification has been as disappointing as the New Math. While I do believe gamification will eventually become a natural component of most schools, we may also have to keep changing vehicles until we find one that doesn’t crash. In fact schools have always relied strongly on one gamification element: grades. And grades are great motivators. The problem is they are also de-motivators. And if grades are such a great predictor of achievement, why are teachers opposed to being tested themselves? The No Child Left Behind Act of 2001 left pretty much everyone behind except test companies. The imposition of national standardized testing has resulted in short-term cramming rather than long-term learning and, as Steven Levitt discovered in Freakonomics, to cheating by teachers and administrators worried about losing their jobs, or their schools. This is one of the worst examples of gamification in education. Gamification should increase student and teacher engagement and make teaching and learning more fun, rather than be a stressful distraction. Children are both the easiest and hardest audience to capture. Easiest because their critical faculties are immature. Hardest because they have no patience. They aren’t going to give a video or a book or a class a chance – it has to grab them right away and hold them for the duration. In terms of gamification children are stubbornly resistant to efforts to manipulate them. Adults will be patient or polite, but if kids don’t like what’s being offered them, they won’t participate, they’ll turn off. The problem with most educational games is that they are produced by educators, not game designers. Or the game designers are hamstrung by the curriculum. So what you end up with are a few game elements superimposed on a boring course. Children see through this right away. A better way to gamify education, I think, is to do it backwards. To design or appropriate first-rate games, then gamitize the educational component. In other words, create or license games that grab and hold a student’s attention, like Grand Theft Auto grabbed my son. Then look for ways to layer on the math or English or whatever you want to teach. They won’t even know they’re learning, which is often the best way to teach. Like the luckless pedestrians in Grand Theft Auto, these future students won’t know what hit them. Fair. But also difficult for us to keep track of their progress, no? Optimistic, I think. Thanks for your comment Amar. But I think tracking progress is the easy part, since measurement and feedback are cornerstones of gamification. For instance, the child could have to read signs to get where they want to go. The hard part is motivation and engagement – getting kids’ attention in the first place, and that is what I’m addressing here.